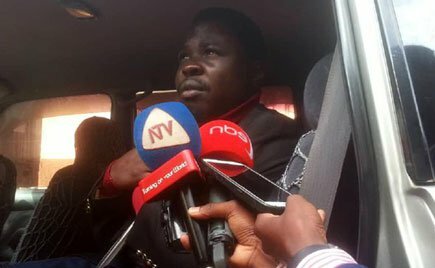 KAMPALA – Police on Thursday Night arrested Mityana Municipality Member of Parliament (MP) Francis Zaake. Bobi Wine said the youthful MP was picked from jam and bundled to a police van to Central Police Station where is being detained. Police Spokesperson Fred Enanga confirmed MP Zaake’s arrest without giving details. This website has learnt from sources that the MP was arrested for allegedly ‘skipping’ Police bond.